Obituary for Davis Edward Cochran | Fleming & Billman Funeral Directors, Inc.
Davis E. Cochran, age 65, Geneva, died Sunday morning at his residence. He was born November 10, 1953 in Webster Springs, WV, the son of Robert & Sylvia (Davis) Cochran and has resided in this area most of his life. He was married to Betty R. Jones on May 18, 1991 in Webster Springs. Before having to take disability retirement, Davis worked several years with Union Industrial Contractors and drove the delivery truck for Griffith’s Furniture. 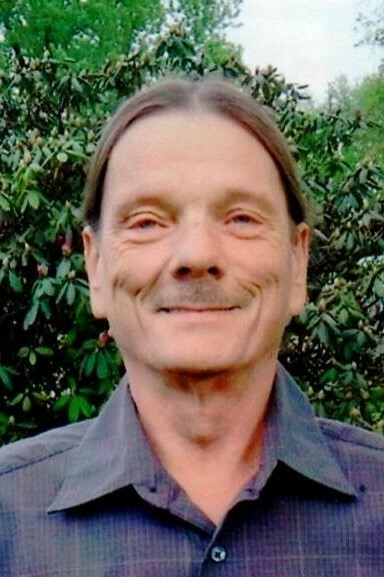 He was an active member of the Saybrook United Methodist Church, where he did maintenance duties, served on the board of trustees, the men’s group and played guitar in the Praise Band. Davis’s family was his greatest enjoyment and he also liked playing the guitar, motorcycles, gardening, traveling, golf and the Cleveland Browns. Survivors include his wife, Betty; a daughter, Christina (Eric) Wadding of Ashtabula; three step-children, James (Tammy) McLain of Ashtabula, Carla McLain of Geneva & Kent (Jessica) McLain of Columbus; 14 grandchildren; 12 great-grandchildren; a sister, Martha (Ralph) Herbert of Espyville, PA and three brothers, Roger (Betty) Cochran & Robert (Sandi) Cochran, both in The Villages, FL and Danny Cochran of Geneva. A Celebration of Life service will be held Saturday, February 2, 2019 at 10:00 AM at the Saybrook United Methodist Church, 7900 S. Depot Rd., Ashtabula with the Rev. Jeffrey Stoll officiating. The Fleming & Billman Funeral Directors and Crematory and staff, Geneva, Ashtabula & Jefferson is honored to serve the Davis Cochran family. View obituary, express condolences or light a candle at fleming-billman.com.